Senior journalist Taha Siddiqui escaped an attempt to abduct him by unidentified armed men in Islamabad, increasingly becoming unsafe city for journalists in the country. Taha Siddiqui, 33, working for France24 TV news channel, was on his way to the airport on Wednesday (January 10, 2018) when at least eight armed men attempted to abduct him, Taha told a news conference at the National Press Club later in the day. 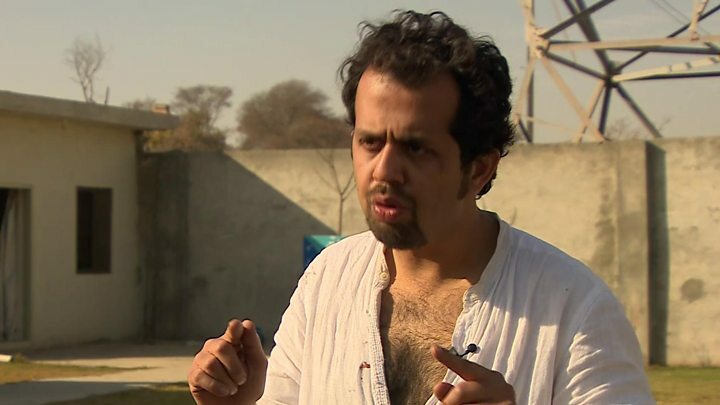 “The attempt to abduct Taha is the continuation of attacks on journalists and that too in Islamabad – a city increasingly becoming dangerous for journalists in the heart of Pakistan,” Freedom Network, Pakistan’s first media watchdog organization, said in Press Freedom Alert on 12 January 2018. Taha said the armed me beat him and threatened to shoot him. The armed men pulled him out of his taxi, dragged him to the floor, kicking and punching him, he told Al-Jazeera. Looked shaken by the encounter, the journalist suffered minor wounds to his arms and legs, as well as a scratch across his face. Last October, investigative journalist Umar Cheema was attacked in Islamabad and local police failed made no arrests yet in his case. The attempt to abduct Taha comes as the authorities launched crackdown on dissent expressed on social media. Police registered FIR after the failed abduction attempt on Taha made headlines around the globe, including Pakistan. Never before a journalist made such dramatic escape as Taha did that day. Siddiqui managed to escape after scuffling with his assailants and lunging for an unlocked door in the back seat of the vehicle he was about to be taken away in, he said. “I rushed out into oncoming traffic and jumped into a taxi, which slowed down when it saw him approaching, Taha share the details of his escape.